The leading French dermocosmetics brand launches skincare range specially formulated for INTENSE Hydration and RADIANCE for dehydrated and sensitive skin. Laboratoire Bioderma continues to create excitement in the Irish market with the launch of their HYDRABIO skincare range - an answer for those who are looking for a radiant complexion, exceptional hydration and an unprecedented sensory appeal. As well as hydrating properties, women are looking for instant yet long-lasting results: skin that feels comfortable, looks visibly smoother and appears more radiant. Scientific data has shown that external factors such as pollution, UV rays, temperature variations and stress, coupled with increasingly urban lifestyles, can leave your skin dehydrated and sensitised. The HYDRABIO range has been formulated to stimulate the skin's cellular capacities and reactivate its natural hydration process. 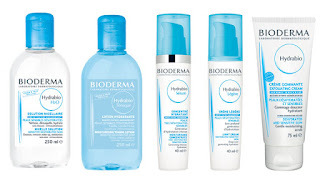 By observing the skin’s natural hydration mechanisms, reinforced by advanced research, Bioderma has developed a formula that is able to innovate and offer a new dimension to hydration –their unique, patented complex, Aquagenium© combined with a physiological lamellar emulsion. Found in the full range of HYDRABIO products, the Aquagenium© patent containing Vitamin PP and apple seed extract stimulates the synthesis of aquaporins and inter-corneocyte lipids, making it possible for the natural moisturising factors to properly carry out their role. Mimicking the moisturising action of the skin, Aquagenium© restores the skin’s optimal functional capacities while the physiological lamellar emulsion reinforces the skin’s lipid barrier and encourages the active ingredients in the HYDRABIO Aquagenium© patent to penetrate more deeply into the skin. By placing biology at the service of dermatology, the HYDRABIO range provides hydration, radiance and a sensory experience in one single, skin-safe product. The HYDRABIO range will be available in independent pharmacies nationwide from the 4th of April 2016. This cleansing and make-up removing micellar water guarantees unrivalled tolerance and comfort for optimum make-up removing efficacy that respects the fragility of sensitive skin while stimulating moisture. Its fatty acid esters, the constituent elements of micelles, are similar to the phospholipids of the skin cell membranes and naturally help rebuild the skin's hydrolipidic film. Moreover, its Aquagenium exclusive biological patent retrains the skin to activate its natural moisturising capacities by stimulating the production of aquaporins and water channels in the skin. 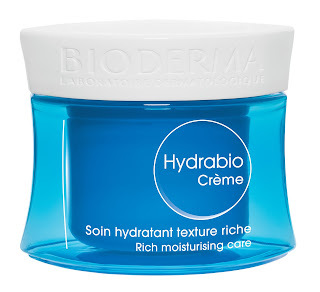 Tailored to very dehydrated skin, Hydrabio Sérum is designed to retrain the skin to moisturise itself . Generating instant and long-lasting hydration, the sérum can be used alone or combined with another treatment in the Hydrabio range. Thanks to the the innovative formula of complex Aquagenium and hyaluronic acid, this serum instantly boosts hydration and restores radiance whilst simultaneously provideing a long lasting smooth and moisturising effect. 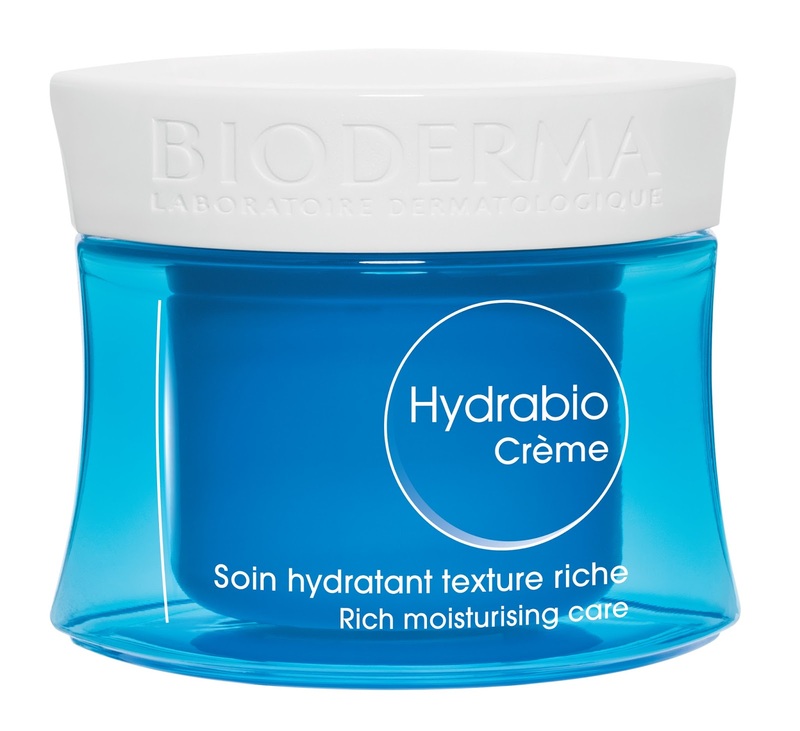 Designed for dehydrated sensitive dry to very dry skin, this ultra-rich and creamy texture of Hydrabio Crème intensely nourishes the skin. Thanks to an emulsion inspired by the structure of the epidermis, the active ingredients of the Aquagenium patent penetrate deeply in to the skin and in a more targeted manner. The skin thus regains its natural hydration capacities, for intense radiance. Designed for dehydrated and sensitive skin, this soft scrub gently exfoliates even the most fragile skin whilse simultaneously restoring the skins softness and radiance. Thanks to the combination of extra-mild microbeads and moisturising agents, this exfoliating scrub deeply yet gently cleanses the skin providing a genuine sensorial experience that transforms a daily cleansing care routine into a moment to cherish.